William Hannah (1891-1961) was from Blackburn, some 20 miles west of Edinburgh. A postman by trade, he was also an influential melodeon player and band leader, releasing over a hundred commercial recordings in solo, duet, trio and band formats. His five-piece band were popular, and included melodeon, fiddle, drums, piano and trumpet, echoing Jim Cameron's Band of later years. This compilation is from recordings in my own collection. Hi - I've only recently discovered your site and have been enjoying looking round. There’s a lot of memories here, from borrowing The Islanders first LP from Airdrie library in the 1960s, to singing with Mae McKenna (of Contraband) at school, from seeing Alba at a folk festival in Lancashire (circa 1976) to hearing Tom Anderson and Willie Johnson at a TMSA event around the same time. That’s a great photo of them on the back of that Waverley LP, by the way! 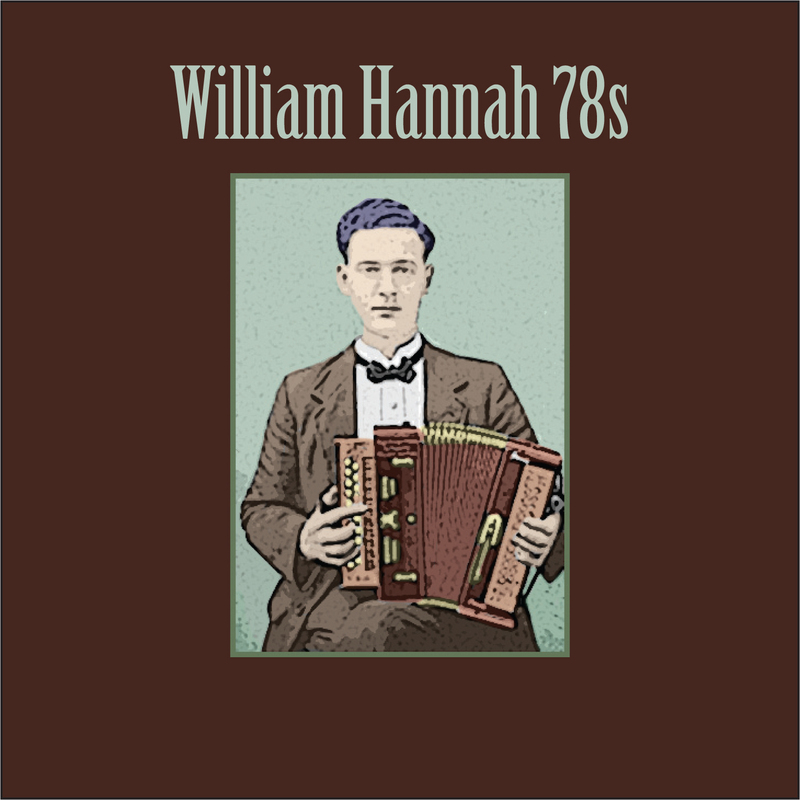 I’ve just doonloaded the William Hannah 78s. 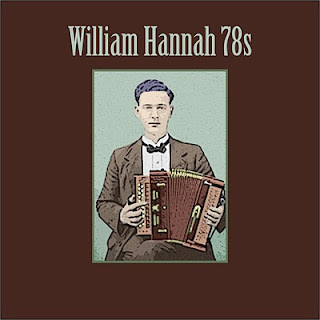 I’ve liked Hannah since I first started collecting 78s in the early 1980s – he didn’t have the sheer brilliance and virtuosity that Shand had, but I have a lot of time for his records. They sound more like what you might have heard at a local do in one of the small towns in the central lowlands in the pre-war years, and in that sense he’s maybe closer to the spirit of the ordinary Scottish tradition. I remember buying some of his records at the Barrows (about 1980) and talking about them to my father. He wasn’t very interested in music, and even less in old records, but he amazed me by telling me that when he lived in Plains, he sometimes used to go out to a country pub where William Hannah would also have a drink, and sometimes brought his melodeon and played. My dad was maybe not the most reliable of witnesses, but as Hannah came from Blackburn, only a few miles east of Plains, it seems entirely possible. Thanks for this selection, and for other things around your blog that I will surely help myself to in due course. Ah, brilliant stuff, Nigel. Had no idea you had a blog going. Only came across this while searching for any info at all on JD Michie - I'm often playing his Autocrat and Recluse hornpipes. Although damned if those can be played as such - more like polkas. I see the Angus Fitchet recordings have his take on those tunes. Great stuff you have here! Can't download...doonload James F Dickie's Delights. Could you re-up that puppy?